Just to let you know about a little something called WOW. 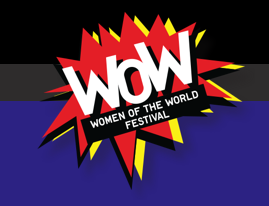 WOW is the Southbank’s annual global festival where women of all ages and backgrounds join together to celebrate women’s achievements and er, challenges across the world. It’s on this coming Friday, Saturday and Sunday, when there will be a bunch of very interesting looking performances, concerts, and talks. It’s quite hard to decide what to go to as there is so much. The highlights for us are looking like this – a funny women workshop and the brilliantly titled Nice girls don’t get the corner office. Not forgetting the legend that is Julie Walters, in conversation with Jude Kelly. So, if you’re stuck for ideas for where to take your mum this weekend, this may be the answer. More on the festival here. Boys, you can come too if you’d like. Next #Hamstergate: Is anyone out there working at Alcohol Concern? It’s not just for “ladies” – it’s really important that men get involved – Jude Kelley specifically wants men to come. I’m doing a talk on women and advertising on the Friday – 1.30 -2.30 – agency blokes could learn a lot from it. Right, thanks for clearing that up Gail. Your talk sounds great. If we didn’t have a chicken deadline looming we’d be there! Will there be videos of the talks online to watch afterwards? Yes, there are videos of most of the talks.